...but, skipping all formalities and warmth and fuzziness, don't bother with Trader Joe's Milk & Dark Chocolate Butterscotch Bits Bar. At all. It's completely unenjoyable and will make you question who thought of such of an awful concoction. No, this isn't some sort of warped attempt to dissuade all potential buyers so I can corner the market and stockpile all of them for myself. I'm serious. Don't' Buy. Ever. I don't care that it's $1.79 and sounds delicious, because that's exactly how Sandy and I got suckered in during a recent trip that we made while bordering on raging hangriness. I'll give it this much, as it's only postive point. The chocolate, both the milk and dark (as nicely swirled on the bottom of the bar), are delicious. If you know TJ's chocolate, you know it's pretty much always on point. That's the case here, and the milk and the dark meld together nicely in a contrasting tones of creamy and solid, with sweetness and depth. That part is good, but it's what's kinda expected at this point. Everything else? Awful. Butterscotch bits? Are you kidding me? There's probably more butterscotch bits in Milton Hershey's couch cushions than in this bar. I detected a few crystallized crumbs here and there, but it could be anything in the world, there's not enough to detect any hint of butterscotch. In the half a bar I ate, I encountered a possible butterscotch essence maybe once. It could have been miniscule bits of gravel in there for all I could tell. But it gets worse. This is one chocolate bar that's actually painful to eat. How to explain...it'd be better if we took a picture of it but we thought the bottom swirls were pretty and more photogenic before cramming in the piehole. It's one of those bars alternates in form between divots and chunks. Like plateaus and valleys, so as to segment a bar, or as Sandy more succinctly put it, a beefed-up Toberlone candy bar. That's fine...but the "plateaus" are so tall and steep, yet so small with so little space between them, that biting into one of these is a nightmare. Your teeth naturally go sledding downhill, leaving the plateaued parts to jab your in the gums. I'm not making this up. Sandy had much the same experience. I guess, maybe in retrospect, if eaten one segment at a time and consumed sideways, it could have worked better...but still. it's as if whoever came up with the form of this bar didn't understand teeth or resented poeple who had them. It hurts. And this isn't a case of it getting too hard because of being in the fridge or freezer these hot summer months...we ate it within an hour of purchase, so it was basically at warmish room temperature. And to top it off, it's a ten segment bar, with the chocolate bar consisting of three servings per the label. "That's not even fair or right!" Sandy the serving-size policewoman expressed dejectedly. Not a fan. At all. A little butterscotch could have redeemed the bar quite a bit, but I'm grasping at saying much of anything nice. Quality chocolate can be had very easily at TJ's, with actual other flavors mixed in, and so far not any other one made my mouth hurt. In all, this TJ's butterscotch chocolate bar is one of the most disappointing purchases I've ever made at TJ's, rivaled perhaps only by these failures. Maybe this is just some built up angst and spite, but I'm going zero here, while Sandy chimes in with a one simply because it's chocolate. It does sound good! I think if they gone with a softer butterscotch filling then it might be a winner. Maybe it a copycat of Tolberone bar. Yikes! That sounds... totally miserable. And extra disappointing since you were anticipating a delicious chocolate bar! Um, ARE YOU FRICKIN KIDDING ME?? I frickin LOVE that bar. I don't know what exactly it is about it but I love the dark and milk chocolate combo and I like the crunchy bits of butterscotch. I thought that the butterscotch would make it a bit too sweet but in my humble opinion, I love the combination of all three! 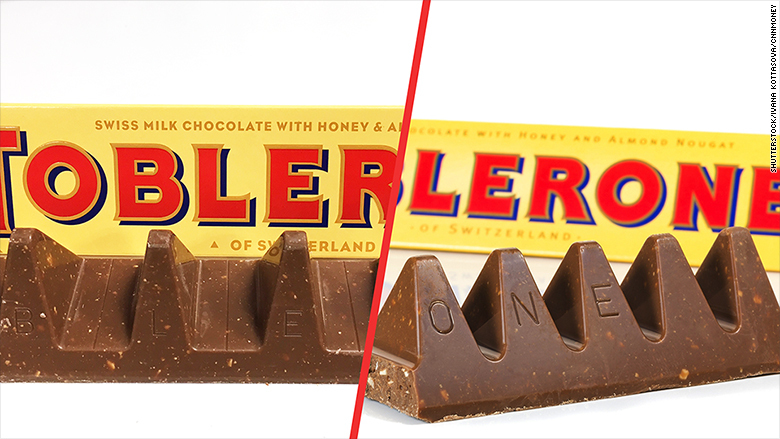 It's like a fancy Toblerone and each individual piece is a mouthful. I guess we are all entitled to our own opinion (although you kinda beat up one of my faves). No worries. lol Anyway, just wanted to add my two cents. (frickin love that bar). I discovered the bar in October and am furious that I can't get refills! Did TJs discontinue it? I thought it to be an awesome chocolate butterscoth bar! What?! This bar is awesome. And who would just bite into it? Obviously it's designed to be broken off by hand and eaten in pieces. Not that hard to figure out! Even if the butterscotch is a bit "subtle", the mixture of milk and dark chocolate makes a great flavor combination. I recommend it.